HOLBROOK, NY--(Marketwired - December 18, 2015) - American Portfolios Financial Services, Inc. (APFS), a privately-held, independent broker/dealer, is pleased to announce that CEO, CIO and President of APFS Lon T. Dolber has recently been appointed as the vice chairman of World T.E.A.M. Sports (WTS), a national non-profit organization that facilitates outdoor sporting challenges among disabled and able-bodied athletes. 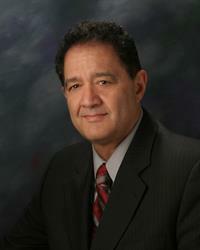 Van Brinson, WTS CEO and president, said, "World T.E.A.M. Sports is glad to be able to bring the talents of Lon to bear on our organization. His experience and leadership will greatly assist us in taking our organization to the next level." In this leadership role, Dolber assists WTS chairman and founder James Benson. As vice chairman, Dolber directs the organization's 12-member board meetings to improve and encourage communication and collaboration. His aim is to take a broader view of WTS' future success as a non-profit in order to create a lasting organizational structure. "Planning for the future," Dolber said, "will help the organization expand and provide opportunities for athletes with disabilities." Prior to this appointment, Dolber was a WTS board member and has been a fervent supporter of the organization for nine years. APFS' involvement with WTS hinges on the firm's commitment to corporate social responsibility, which is outlined in its corporate objectives and long-term planning. "Socially responsible actions that are brought into our business cultures and communities through organizations like WTS are the values in which our country was founded," Dolber said. "As corporate citizens, we need to facilitate that." Dolber's first involvement with WTS began in 2007, when he took part in the organization's "Return to Kilimanjaro" challenge, which assisted a team of developmentally-disabled athletes on a climb up the African continent's highest mountain peak. Thereafter, Dolber began actively participating in and raising funds for WTS, as well as helping launch and direct inclusive events throughout North America. Dolber was instrumental in helping to launch WTS' Coastal Team Challenge in 2009, a nautical sea kayaking challenge from Anacortes, Wash., to Vancouver, B.C., which paired disabled servicemen from Canada and the U.S. with able-bodied WTS participants. Under his oversight, Coastal Team Challenges have, since 2014, become an annual event on Long Island, in partnership with Independent Group Home Living (IGHL), the area's largest service provider of consumers with developmental disabilities. In addition, Dolber took part in the creation of WTS' Adventure Team Challenge New York in 2010, which has also become an annual event based at The Center for Discovery, a community of care devoted to the health and well-being of people with disabilities. 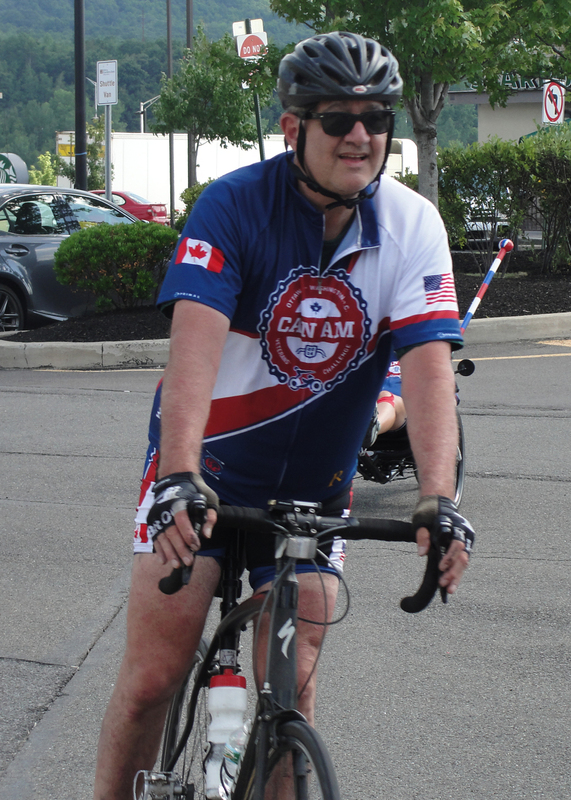 APFS also participates in WTS' annual Face of America bike ride from Washington, D.C., to Gettysburg, Pa., along with wounded and disabled U.S. veterans. In 2015, Team American Portfolios represented the No. 1 earning team, raising a total of $146,587 in charitable donations. To date, APFS has raised more than $500,000 in donations to support the WTS cause. Dolber's plans in his new role are to establish committees comprised of WTS board members and knowledgeable individuals from the public sector to meet on a regular basis and discuss specific topics of interest to better the charity. Based on their meetings, the committee chairs will follow up with gathered research and recommendations. Dolber is tirelessly committed to the WTS cause and excited about his leadership role. "I want to succeed," he said. "To do so, board members, staff, participants, sponsors, partners and supporters need to perpetuate support, articulate goals and the mission of WTS," which is to change lives through sports. Headquartered in Holbrook, N.Y., APFS is a full-service, independent broker/dealer and member firm of FINRA and SIPC, offering a complete range of financial services, including personal financial and retirement planning, securities trading, mutual funds, access to investment research, long-term care planning, insurance products and tax-free investing. Fee-based asset management is offered through its sister subsidiary, American Portfolios Advisors, Inc., (APA), an SEC Registered Investment Advisor. Both entities, along with technology division American Outsources, LLC (AO,) collectively reside under the legal entity American Portfolios Holdings, Inc. (APH). Full-service securities brokerage is available through a clearing firm relationship with Pershing, LLC, a BNY Mellon firm, the securities of which are held on a fully disclosed basis. The company currently serves 809 independent investment professionals located in 368 branch locations throughout the nation, and was named Broker-Dealer of the Year* (Division III) by Investment Advisor magazine in 2015. World T.E.A.M. Sports is a 501(c)(3) not-for-profit organization chartered in North Carolina and headquartered in Holbrook, N.Y. Since 1987, WTS has organized athletic events for disabled and able-bodied citizens: mountain climbing, white water rafting, bicycling and more. Their mission is to change life through sports. WTS uses athletics to challenge people to accomplish goals they once deemed impossible. Through every WTS event, participants with disabilities build their self-confidence and enhance their physical fitness. During athletic challenges, disabled and able-bodied participants learn to work together as a team to overcome physical, emotional and technical challenges. Other WTS events include: Adventure Team Challenge, Coastal Team Challenge, CanAm Veterans' Challenge, Face of America and Sea to Shining Sea. Lon T. Dolber, CEO, CIO and President of American Portfolios Financial Services, Inc., participates in the World T.E.A.M. Sports 2014 CanAm Veterans' Challenge ride.